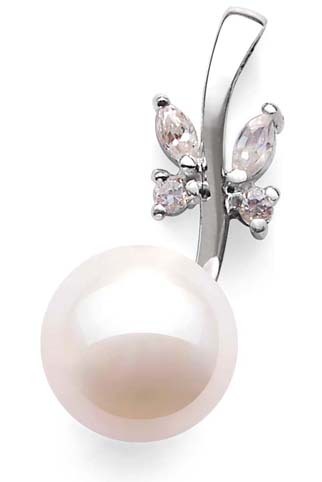 A large 9-10mm genuine pearl is set in this stamped 925 sterling silver pendant. 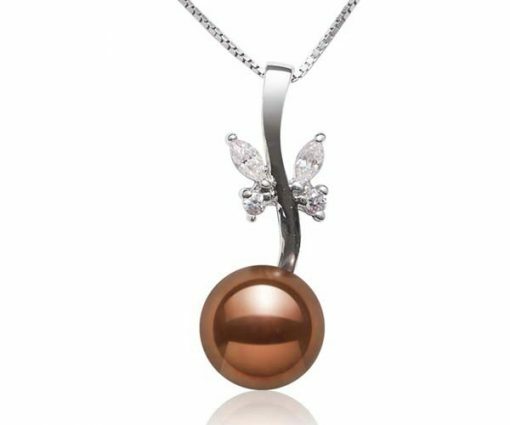 The pearl is high quality with high luster, very round in the front and relatively flat at the back in a gorgeous flower shape designed pendant. 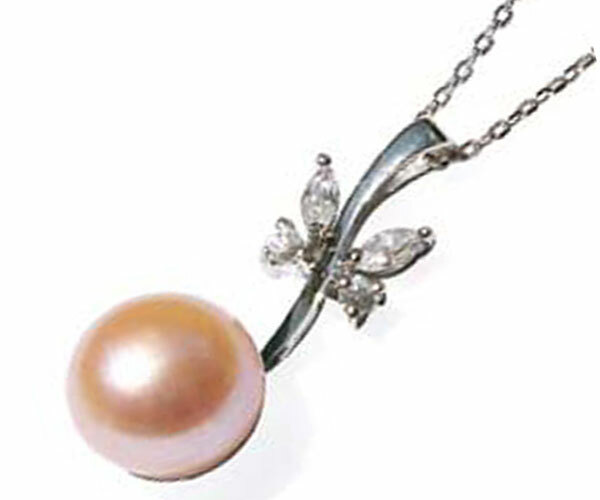 Its large sized loop can accommodate almost all sized chains. The pendant has 7 layers of 18k white gold over to be tarnish-free and has a dimension approximately 1 1/8″ x 3/8″. 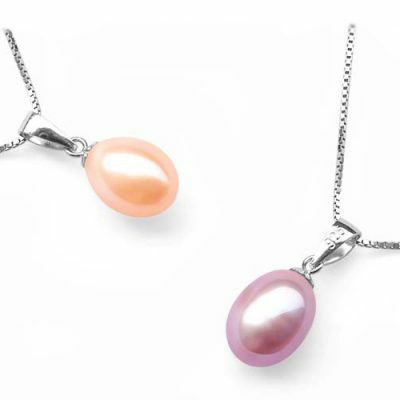 And a 925 sterling silver box chain will be included for free. 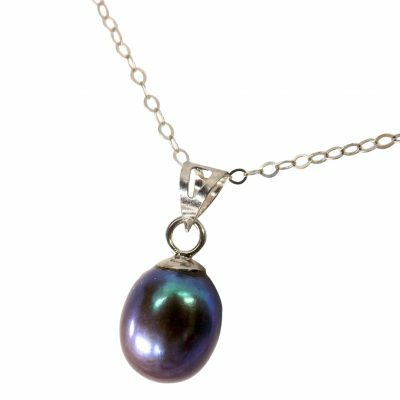 If you would prefer to have an 18in long chain, you can get it here for less than $2, or just type Product No “ZSS1001” in the search box . 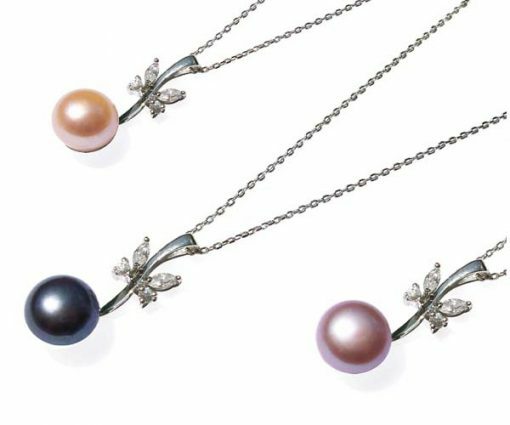 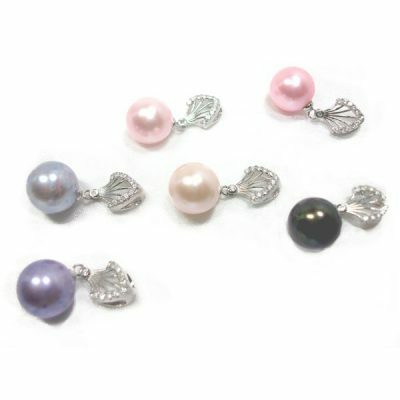 Several colors of pearls are available for immediate delivery: chocolate, white, pink, mauve, and black.